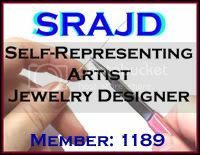 I'm so loving these gorgeous crystal pearls by Swarovski. Using a mix of 4 sizes, these pearls are the colour of Old Fashioned Vanilla ice-cream.....just that one shade between white and cream. 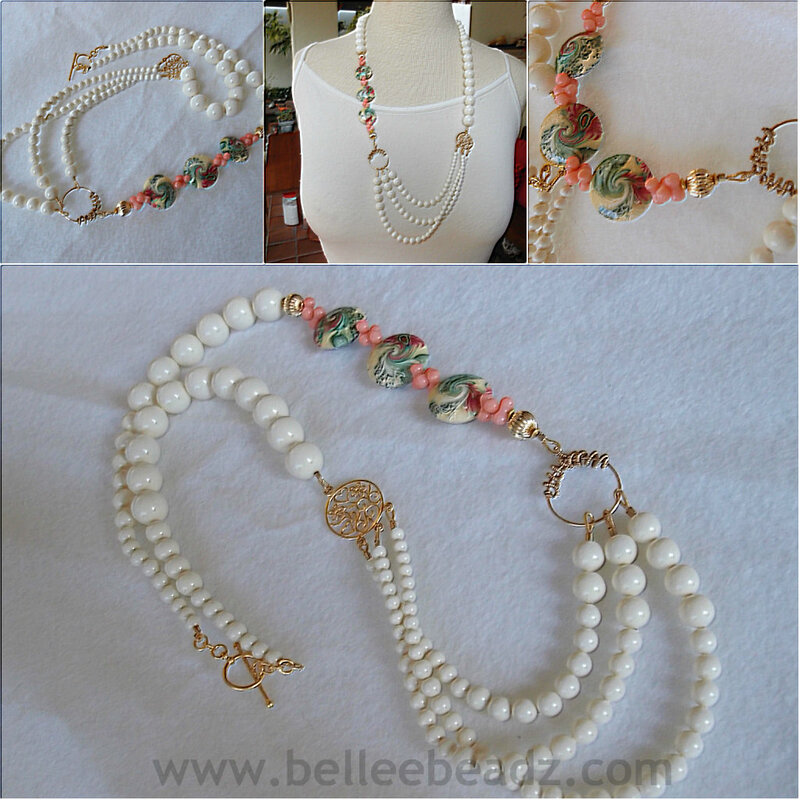 Polymer clay lentils, round swarovski pearls, dyed coral pieces, gold fill and gold vermeil. 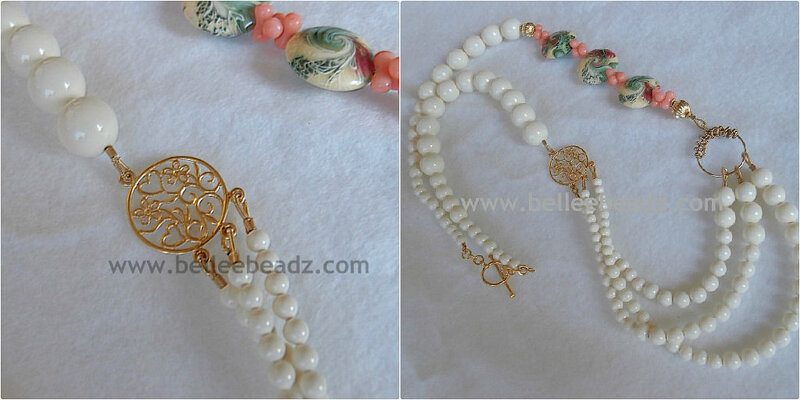 Necklace measures approx 31" (longest outer layer) from end to end. Finished off with a vermeil toggle.